Welcome to the PLANTATION HOMEOWNERS ASSCOCIATION web site. 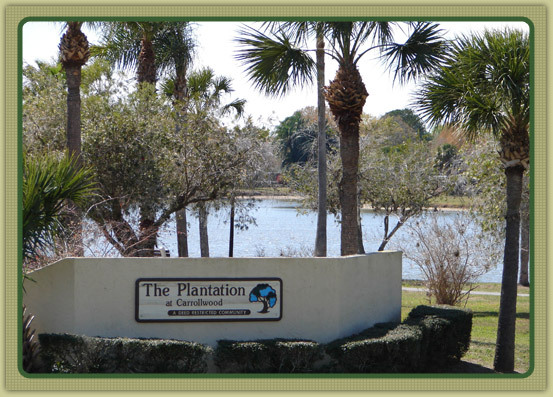 The PLANTATION of CARROLLWOOD is a Deed Restricted community with a mandatory Homeowners Association. Our Association is named the PLANTATION HOMEOWNERS, INC.
Our community consists of 18 villages with 1832 homes on 520 acres of land. We own and maintain Common Areas of 119 acres throughout the community: 55 acres of lakes and 64 acres for recreation activities which include our Clubhouse, tennis courts, baseball, volleyball and soccer fields; swimming pools, handball courts and playgrounds.